Dioramas for the wall, desk and book shelf. 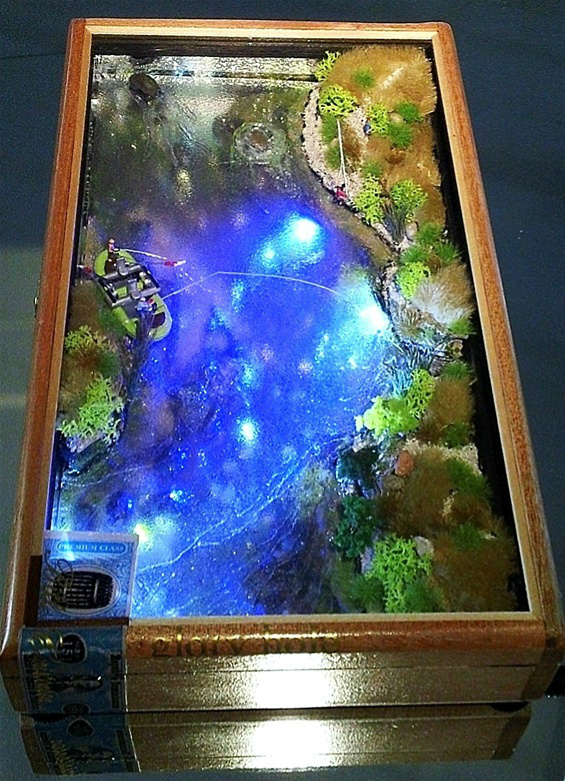 Mid-sized dioramas for table, desk or book shelf. 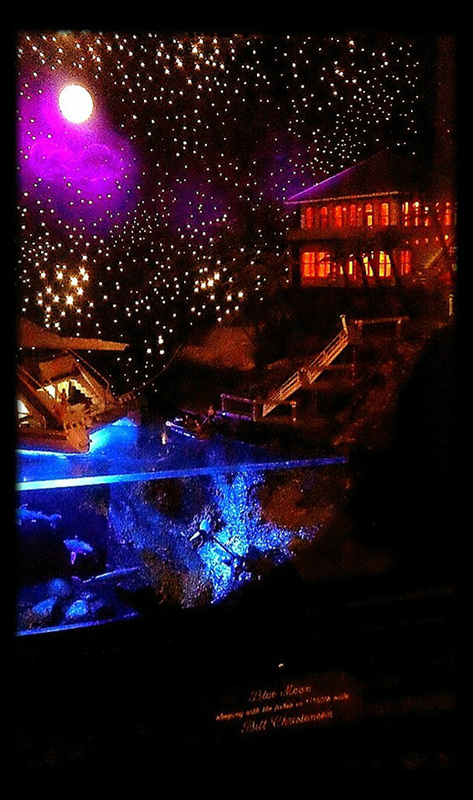 Dream Container House Boat ~ Boat House cigar box diorama in 1/87th scale designed wit 3~20 ft. shipping containers with 19 LEDs on 12 v. system. 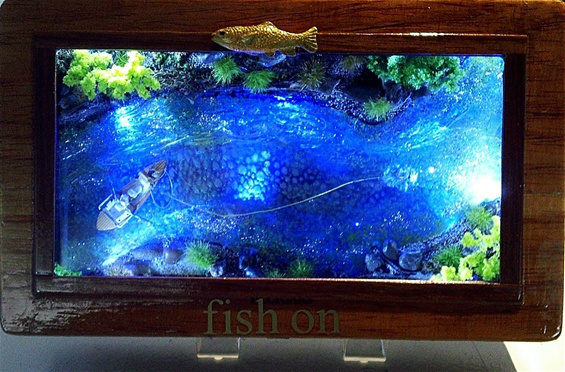 fish on cigar box diorama. 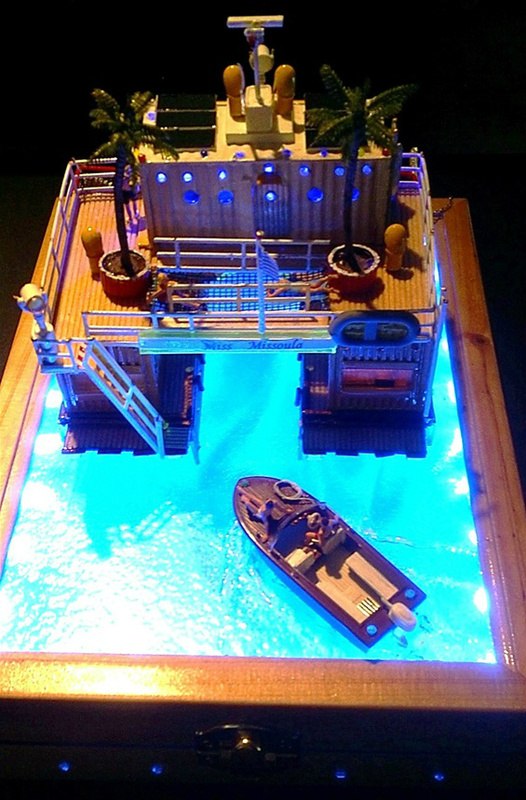 Hand made Drift boat and 7 LEDs on 12 v. system. 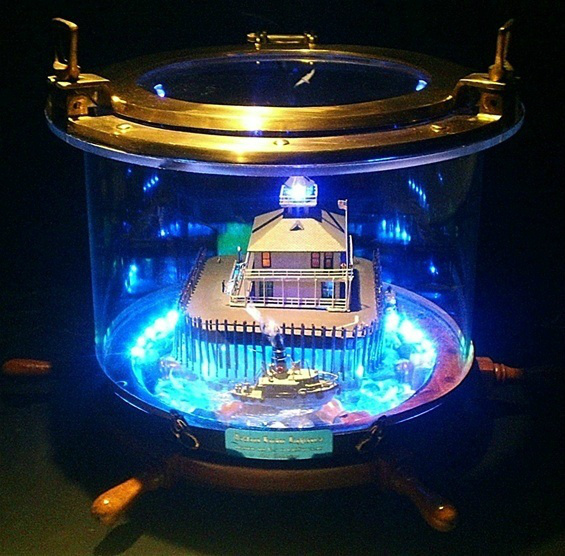 Blue Moon wall or shelf diorama in 1/160th scale 88 LEDs, on 12 v. system. Wall diorama in 1/87th scale. " 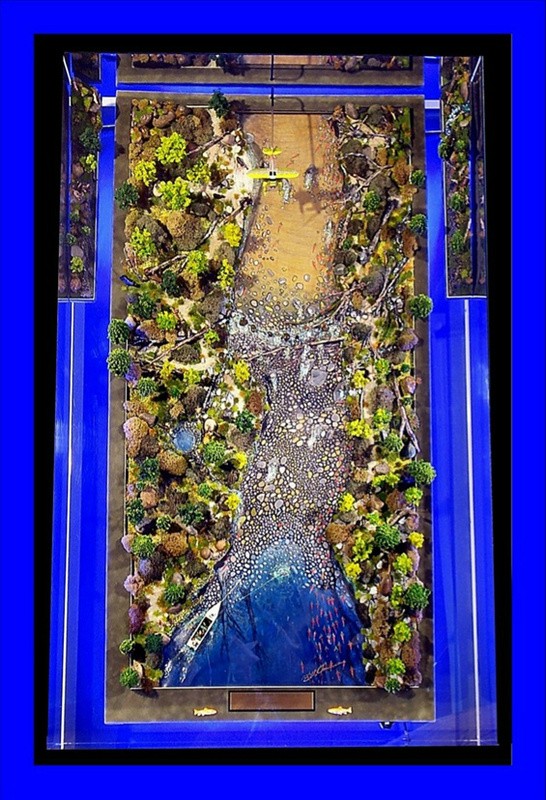 A River Runs Through It"
Levitation diorama shows to great advantage your amazing vision in releasing the potential in an object. keep going at it !! 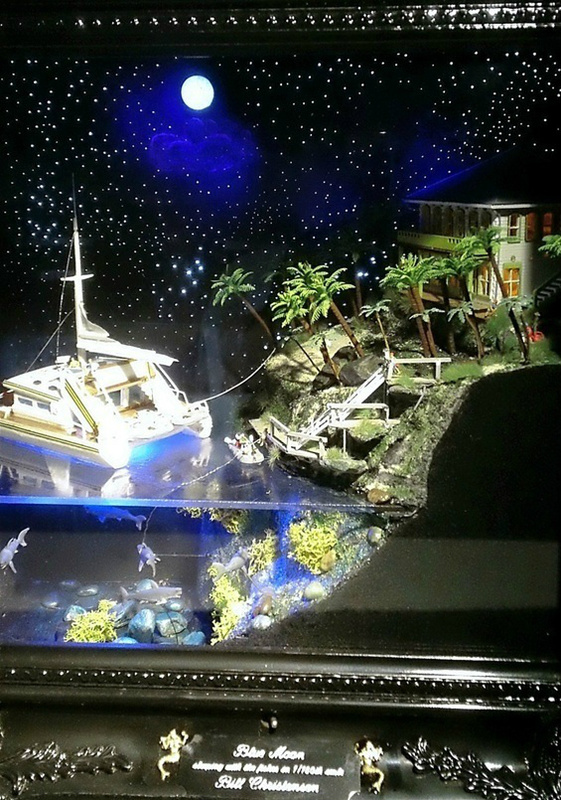 The infinity fish at Quinn's is one of a kind. I have a similar one that faces the opposite direction. They are both $1,000 ea. Thank you. gave me your biz card. Curious as to pricing for your LED art. I have a great LINK for you. Send me your email address.